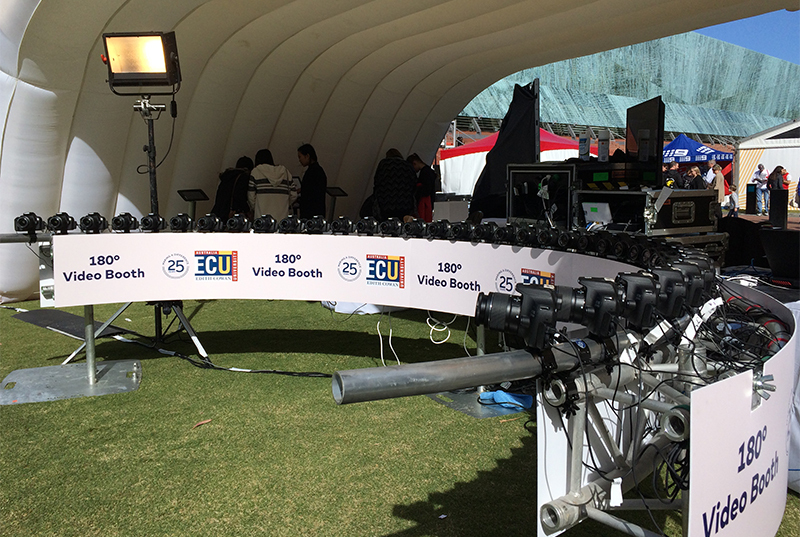 To create an innovative and technology driven activation for ECU’s Open Day in order to create a positive impression on potential students as well as heighten social media buzz for the university. Inspired by the Bullet Time cinematography effects in The Matrix, Lux decided to build a 180 Degree Dynamic Photo Booth from scratch. Using an array of 36 Canon DSLR Cameras and a custom-made shutter release system, we were able to capture a moment frozen in time, which was then converted into a short matrix style motion clip. 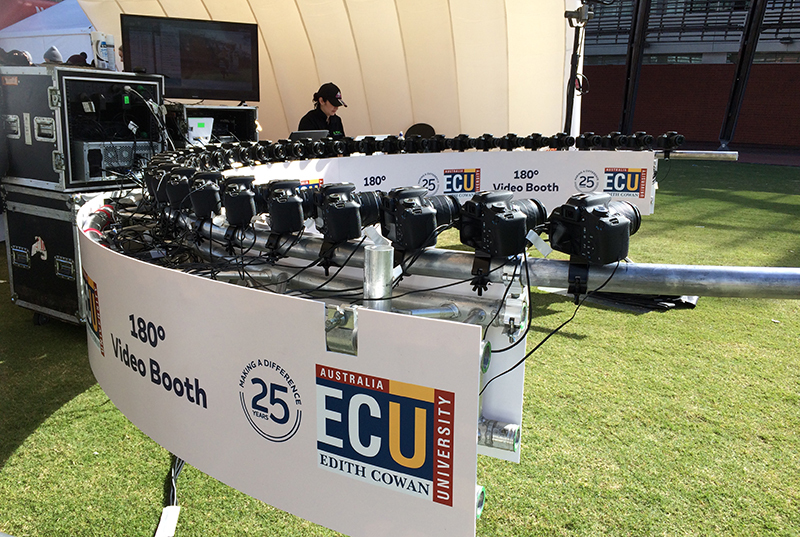 An online competition was launched to reward the top 5 most popular videos that were shared on social media with the #ECU25. 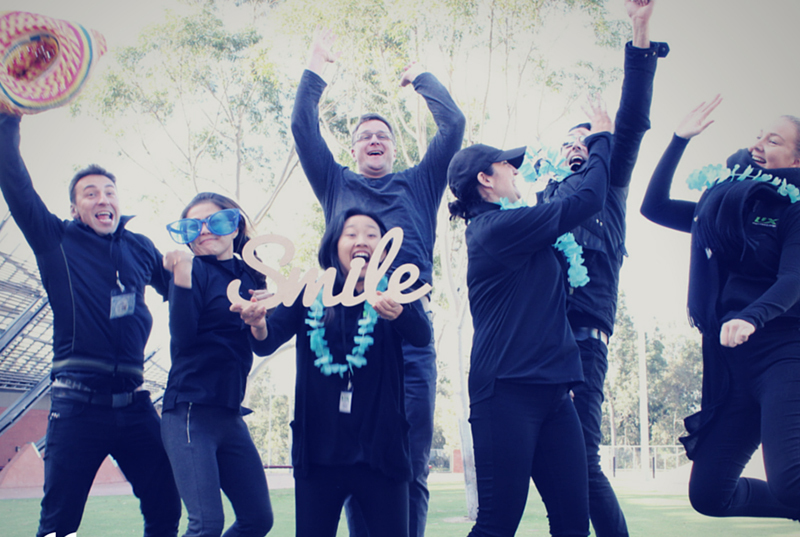 Utilising a cloud video sharing app, it allowed the videos to reach the social media sphere within 2 minutes of having the photos taken. The response received was overwhelming with more than 30,000 impressions made on Facebook, Instagram and Twitter combined.